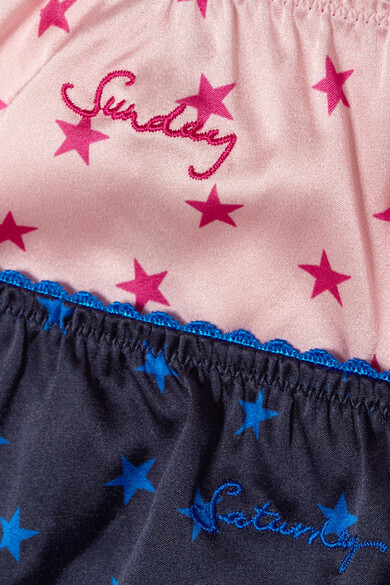 Stella McCartney's briefs are embroidered with 'Saturday' and 'Sunday', making them the perfect set for the weekend. Crafted from soft silk-blend satin, this low-rise duo has pretty picot trims and is printed with tonal stars that pop prettily against the background. The slim presentation box makes them perfect for gifting. Wear them with: STONE AND STRAND Bracelet.